The power of music extends beyond just a good beat to listen to. It can be a source of inspiration for new ideas or serve as an instant confidence booster at times when you need a little push. Whatever the reason may be for pressing play, music can inspire you to get out of your comfort zone and try something new. 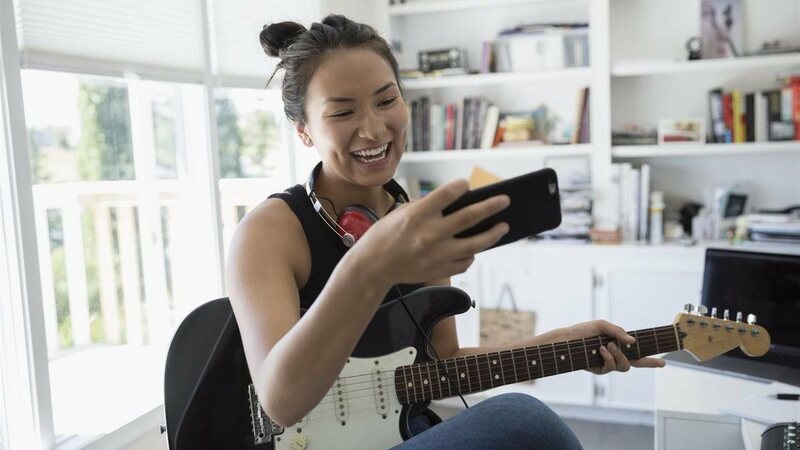 To get aspiring musicians and fans alike started with their musical explorations in the New Year, Total Wireless is sharing four tips on how to find total confidence through the power of music. 1. Learn a new instrument: Joining a music class with a friend is a great way to feel more confident about your new venture. Whether you’re picking up your first instrument or are already a skilled musician, challenge yourself to learn something new and push yourself out of your comfort zone. It can feel intimidating to know where to begin, so use your smartphone to do a little research before taking the next step. 2. Make a confidence-boosting playlist: When you’re having a tough day, use the power of music to give yourself an instant confidence boost. Using your favorite music-streaming app on your smartphone, compile a playlist of your favorite songs for a quick pick-me-up wherever you are! And with the new MEGA plan from Total Wireless, you can get 25GB of 4G LTE† data for only $50 so you’ll never have to worry about running out of data while listening to your favorite songs. 3. Discover new music: Diversify your song library and discover new music by using your smartphone to explore new artists and genres. Get started by searching for artists that are similar to a few of your current favorites, or select a random playlist on your favorite music streaming app and see what new artists are recommended for you. If you’re feeling adventurous, you can even take your music exploration a step further and check out a local band (or two!) at their next show. Whether you’re an experienced musician or a playlist professional, remember to get out there and try something new when it comes to furthering your knowledge of music or exploring new musical interests! And while you’re at it, discover more on the latest devices and great rate plans from TotalWireless.com. † To get 4G LTE speed where available you must have a 4G LTE capable device and a 4G LTE SIM card. Actual availability, coverage and speed may vary. LTE is a trademark of ETSI. Please always refer to the latest terms and conditions of service at TotalWireless.com.